Matthew Inman, creator of the humorous website The Oatmeal has currently raised almost 1.2 million dollars toward purchasing Wardenclyffe, Nicola Tesla’s final laboratory. 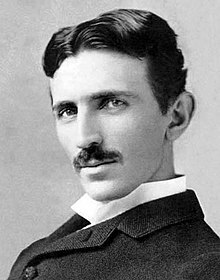 Inman intends to turn the laboratory into a Nicola Tesla museum and is using Indiegogo, a popular crowd funding site to raise these funds. Indiegogo was the first and is still the largest crowd funding site, but now there are dozens. Today, it is joined by others such as Kickstarter, New Jelly, Quirky andWeFunder. These sites are designed to help small businesses,inventers and artists complete innovative projects. Bands such as Murder By Death, from nearby Bloomington, Indiana, are able to produce records by effectively selling them before they are made. This method of financing production not only increases the money that actually makes it to the band, but reduces the cost to the fans as well. And as the downloading of music and piracy are changing the way people think about purchasing music, this may be just what the artists need. One good thing about these sites is that they aren’t necessarily competing against one another. Each site appeals to a different set of people. This allows like-minded individuals to come together to support ideas and projects about which they care, without being bombarded by requests for funding from things they don’t. Another great aspect of this type of fundraising is the fact that these projects offer value for your money. Funding an album will get you a song download, a copy of the album, a night out with the band or some other combinations of goods and services, depending on your level of support. The site Murder By Death used to produce their album Bitter Drink, Bitter Moon was Kickstarter. This site is the most popular location for projects of a more creative nature. Musicians seek funding on the site, as do artists, film makers and journalists. Some local projects seeking funding on Kickstarter include a project called “Bringing The Bayou To CU: Louie’s BBQ Finds A Home!” In this project, Leah Pettit of Urbana is attempting to raise the funding she needs to open a southern barbeque restaurant. Pettit offers different packages including sauces, seasonings and free meals to donors. Leo Edwardsson of Peoria is attempting to raise enough funding to produce children’s training balance-bikes built out of bamboo. He offers a variety of handmade goods made from bamboo based on supporters’ level of donation. More information about these and other projects can be found at www.kickstarter.com. New Jelly’s site, on the other hand, focuses more on artists and filmmakers. On their site, they encourage projects that help people work on their dreams, share their creativity and develop a relationship with fans. New Jelly is a multinational site where people from all over the world get together to produce projects such as Colleen’s Sweet Treats. This project is dedicated to baking cookies, cakes, brownies and other treats for people with diet restrictions. Funders of this project can receive t-shirts, cookies and other goodies. More information about Colleen’s Sweet Treats and other projects can be found at www.newjelly.com. Quirky is geared towards engineering and inventors. This site is set up a little differently, though. Here, you can actually purchase items that have already been created or vote for projects you believe deserve more funding. This site offers all kinds of interesting gadgets for sale. Spray nozzles that plug into citrus fruits, flexible power strips and a dustpan that cleans your broom’s bristles are just a few of the innovative concepts to be found at Quirky. These products and more can be found at www.quirky.com, where you can also vote for new inventions. WeFunder is a site focused on helping startup businesses get on their feet. Taking its impetus from a recent law passed by Congress, this site seeks to put investment in startup companies within the reach of everyone. Current plans anticipate investors being able to get in on the ground floor of new companies for as little as $100. Investors at WeFunder are not offered goods and services like some of the other crowd funding sites. Here, funders are making a proper investment in a company. They stand to make actual profit in the event of success. Visitors to WeFunder at wefunder.com are encouraged to sign up now for early access to these opportunities. President Barack Obama himself encourages investment in startup companies. In his State of the Union Address in January of this year, he said "After all, innovation is what America has always been about. Most new jobs are created in start-ups and small businesses." Shortly after this statement, the president unveiled his Startup America Initiative, which allows entrepreneurs to raise early financing through crowd funding. The initiative initially partnered withIndiegogo and paved the way for companies like WeFunder. On the whole, crowd funding appears to be here to stay. Whether you’re a startup company yourself, or just like buying vinyl records directly from your favorite band, this source of investment will be creating opportunities for creative individuals in years to come.